In the heart of the city sits one of Auckland’s oldest and most loved suburbs—Mount Eden we’re looking at you! 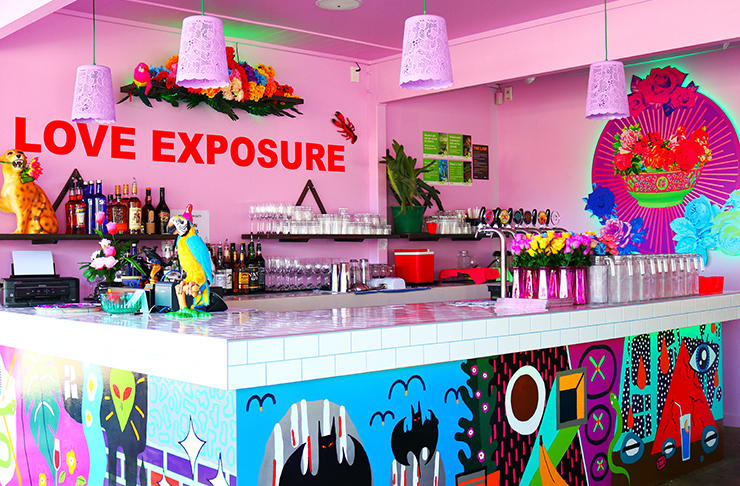 Known for its copious amounts of dumplings, decadent dessert parlours and the cutest eateries around, Mt Eden is filled with fabulous restaurants and cafes. 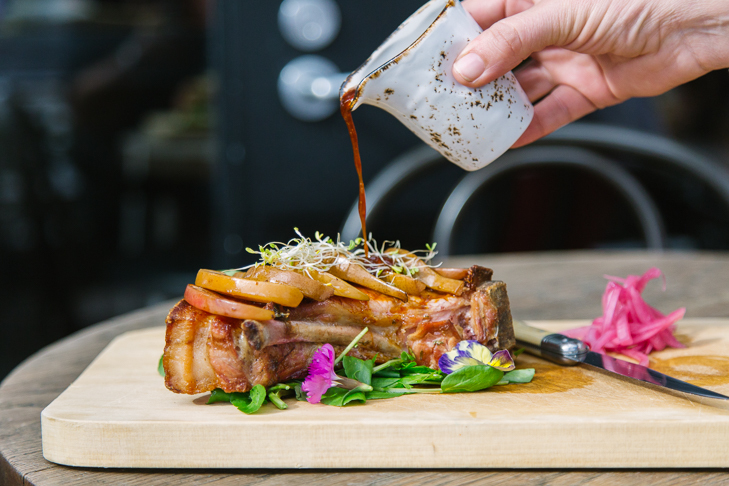 And, since we’re spoiled for choice when it comes to tasty bites we’ve rounded up the best of the best and must-try restaurants and cafes in Mt Eden. 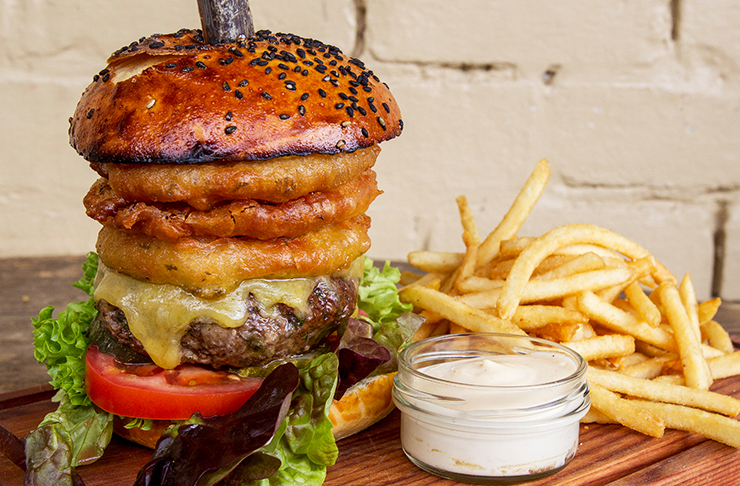 Head to Ralph’s on Dominion Rd to try quite possibly the best burgers in town. The American-inspired diner serves up all the best things in life: big burgers, curly fries, deep fried pickles and beer. There’s even a vegan option sloppy Joe’s with vegan mayo for all your fry-dipping needs. The great food, friendly staff combined with Ralph’s sun-soaked courtyard makes them one of our favourite Mt Eden eateries. 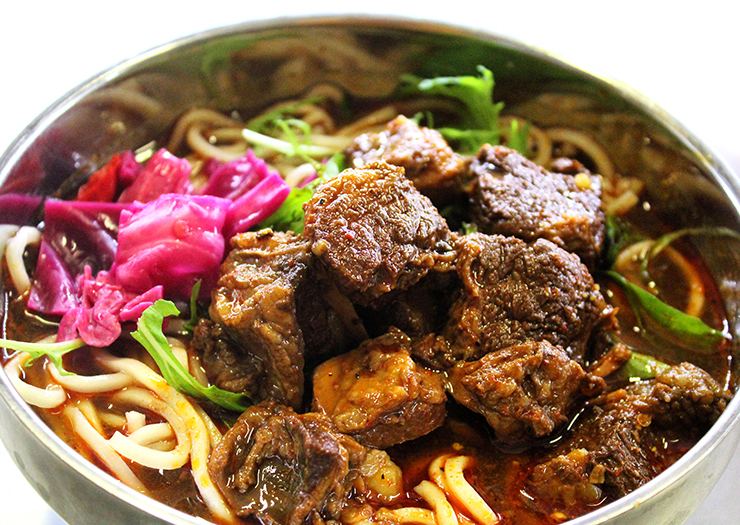 With a cult-like following and a queue that stretches out of the door no matter what the time of day or night, Eden Noodles is one of the best places to get your noodle fix. Situated on Dominion Road, the popular noodle bar dishes up fresh, hot, affordable dumplings, noodles, soups, wontons, rice dishes and Chinese burgers. Trust us when we say it will blow. Your. Mind. The cosiest and prettiest of all the Mt Eden restaurants and cafes is The Garden Shed. Head through the cafe to the sanctuary out back. The garden tools hanging from the walls, terracotta potted plants and sprawling flora makes this one of the most beautiful Mt Eden restaurants, hands down. The menu is seasonal and locally-sourced with stand out dishes like epic cheeseburgers, Argentinian empanadas, handmade pasta with truffle ricotta. Wash it all down with one of their on-tap brews or sodas. Delish! 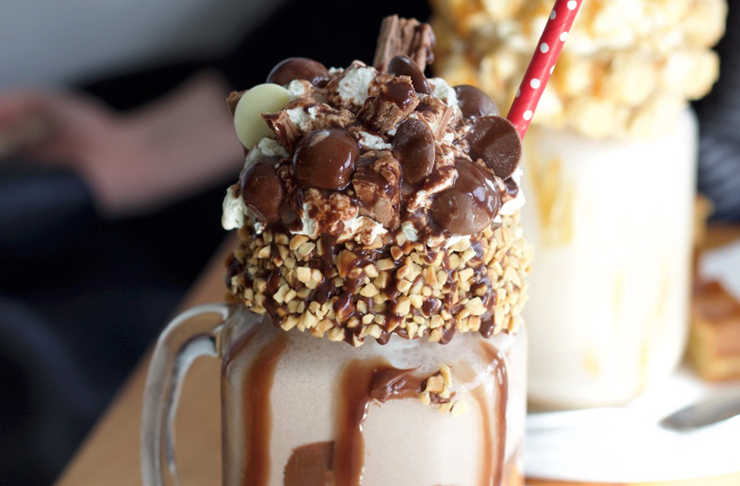 World famous in Auckland for their epic killer shakes, Dominion Road’s Cereal Killa is the perfect breakfast spot. 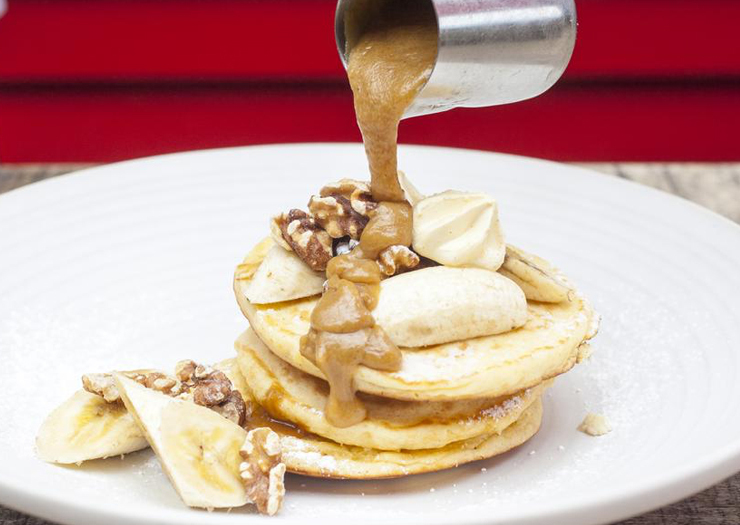 From Nutella, peanut butter, and banana bagels to pork belly buns, Cereal Killa has their menu perfected to a T. Wash it all down with your choice of a chocolate, peanut, cookies n cream or premium shakes! The lucky people of West Auckland already know how great Mr Zhou’s is, so when this gem opened a second store in Mt Eden, people went nuts. We love the classic pork and chive dumplings, as well as the sizzling pork with sweet and sour sauce, and tofu and garlic stir fry. For authentic Cambodian cuisine pop in and visit the lovely owners Jing and Bin who will take great care of you! 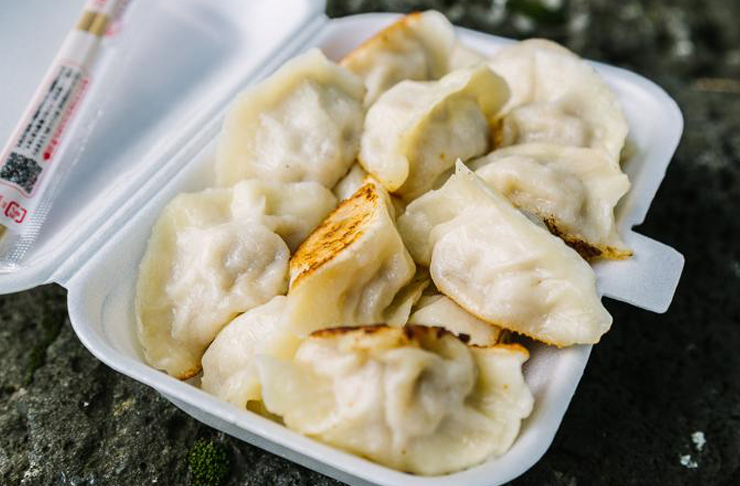 Our obsession with dumplings knows no bounds and Barilla Dumpling is another hot fave in Mt Eden. Boasting two restaurants on Dominion Road, Barilla is renowned for their perfect dumplings that come in lots of 20 (! ), and their signature service. But let’s be honest, you’re here for these delicious morsels, not silver service. You’ll wanna hit Barilla with your whole squad to maximise their long list of dumplings options. Try them steamed, it’s a revelation and well worth the extra buck. Fresh breads, sweet pastries and to-die-for breakfast treats are on the menu at Olaf’s. German pastry chef Olaf knows his way around a ball of dough and it shows in every bite. Pop in to pick up some take home treats or stay a while and enjoy some brunch—we suggest truffled scrambled eggs and the buckwheat porridge! Sitting pretty in the heart of Mt Eden Village, Frasers is one of the most popular dessert spots in the city. It’s no wonder, given their mouth-watering selection of famous cakes, cheesecakes and other sweet treats. We’re talking Bailey cheesecake, tiramisu, vanilla brulee, and tequila berries. They also serve a delicious day menu to enjoy while you sit back in the sun and people watch in the suburb! Xoong is all things bold, brilliant and beautiful. Found in the heart of Mt. Eden Village, this gem will whisk you away on a neon-lit adventure of a lifetime. Whether you're in the mood for a nibble and a cocktail, intimate private dining or for a simple catch up with the squad, Xoong has it all! 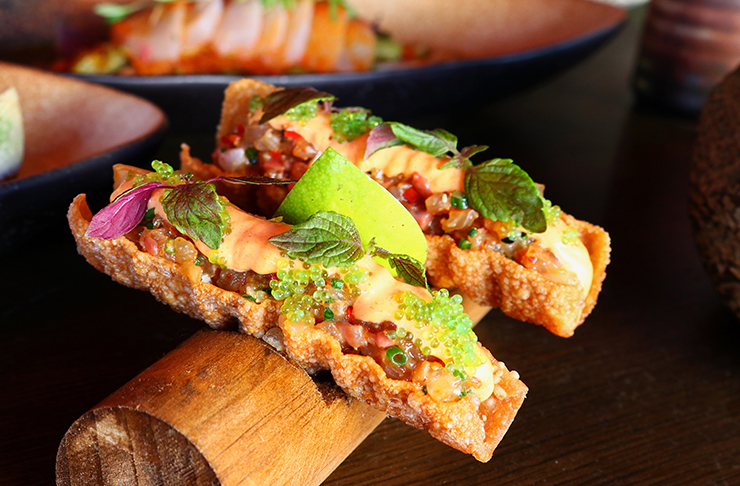 From executive chef Cameron Knox, the menu draws inspiration from both Japanese and Chinese cuisine, making use of flavours from all across Asia, you're in for an unforgettable feast. For a couple of bevvys with some mates, or a family-friendly lunch trip try The Good Home on Normanby Road for homely vibes. The gastro-pub has 10 beers and ciders on tap and a carefully selected wine list so take your pick and sit back and relaaax. Rest assured, it stays true to it’s name with its homely decor. From the hearty pies to classic burgs and fries (which are hand cut and double fried), everything is made fresh daily. And, with the menu boasting offerings such as beer-battered snapper or terakihi, rack of lamb and sticky BBQ pork ribs we know you’ll be back again and again. If a good ol’ cocktail is what you’re after then look no further than Scarlett Slimms & Lucky. With a cute and quirky menu divided into chapters like “Cocktails to die for” and “I could murder a drink”. With a perfectly matched grazing menu to compliment your drink, there’s so much to try (and love) at Scarletts. Resembling a big top circus tent, Circus Circus is painted bright red and adorned with twinkling fairy lights. Bringing delight to both the young and the young-at-heart, the circus theme continues inside the sprawling café. While all of the food is delicious, trust us when we say save room for dessert! We’re talkin’ Crunchie bar cheesecake, banoffee pie, salted caramel crème brûlée and an ever-changing selection of ‘cakes in a jar’. BYO stretchy pants. Corner Burger a the go-to in Mt Eden, serving up hot delicious burgers just the way we like ‘em. They specialise in classic flavours with a twist, think Mexican beef burgers with salsa and guac, and pulled pork with apple slaw. Also, don’t skip on the chunky agria fries and creamy milkshakes! A wacky and wonderful blend of East and West,Wu & You can be found in the hub of Mt. Eden Village. 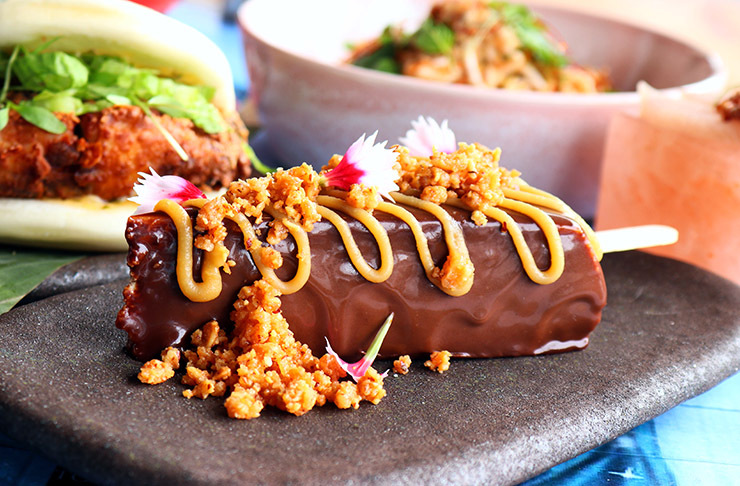 It boasts a mouth-watering menu, from delicious dumplings and tacos like you’ve never seen them before, to sweet treats that are bound to have you coming back for more. You’ll leave Wu & Yu mesmerised with the epicness you’ve just encountered. After a snap in front of the sprawling mural and maybe a cheeky cocktail, you’ll be quickly rounding up the squad for round two. If ramen is on the menu for dinner, let us point you in the direction of Zool Zool, the ramen fix of the precinct. They offer both broth and non-broth ramen options, as well as Japanese style tapas with dishes like edamame, octopus fritters, tempura veges and chicken katsu. Don’t forget to grab a Japanese beer or sake on the side. Concoct your own delicious hotpot creation at Miss Hotpot on Dominion Road. There are dozens of options for both meat-lovers and herbivores, all equally mouth watering and exciting. Sip on some green tea or Chinese spirits while enjoying the spicy and sour flavours of this hot joint. Found on the corner of Dominion and Onslow road, there’s no missing Love Exposure. The fit out is as delicious as the food, featuring an electric colour scheme of purple pink and teal hues, it’s a foodtastic wonderland! Mt Eden’s very own slice of Italy, Mt Eden's Pasta & Cuore, provides authentic Italian dishes and—trust us—you won’t be disappointed. The chef is from Italy so expect to be wowed with pasta made from scratch, beautiful antipasti boards and sensational desserts. The tagliatelle with classic bolognese ragout will make your tastebuds sing, as will be spaghetti alla chitarra with real carbonara sauce—a winner for those who prefer creamy pasta dishes. RAD prides itself on its swanky ‘Strada’ coffee machine, the use of Flight Coffee, and having some of the best baristas in Auckland. And they should, the coffee is a stride ahead of many other Auckland cafes and the ambience is, well, rad. RAD focuses on all things cool, even their freshly prepared lunch rolls have cool names (our fave is ‘It’s Ham’mer Time’). The menu is innovative and interesting but the kitchen behind RAD know what they are up to, and pull it off ‘radically’.